Companies have to work hard to make the most of their service provider relationships. The desire to achieve “best practice” while maintaining discipline over costs, outsourcing is important. It also helps a company to simultaneously improve service quality and focus on core competencies. Only after understanding the complex human dynamics you can get the price you intended, and it happens when two organizations come together to improve service delivery. 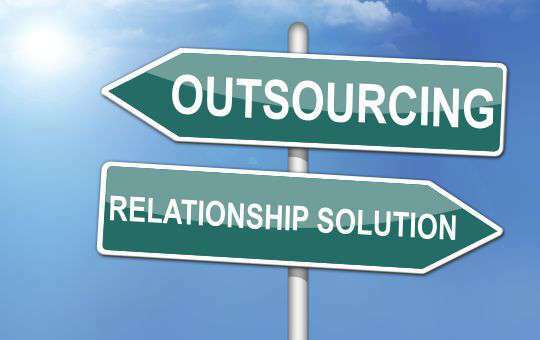 Here are some ways to Improve Your Outsourcing Relationship. Picking the correct person to manage the service provider relationship is the very first and important stage. Customer relationship handling is a very important stage to gain their acknowledgement. If you find the person is not correct, then drop him immediately. Always remember The individuals assigned to your account are human, and they always want to please you. It is always flashed in the studies that nothing works better than positive reinforcement. So, do appreciate them time to time. A little positive feedback from you will not just bolster the relationship, but it will prevent unnecessary over-engineering when they “fix” something that wasn’t broken in the first place. Remember that You are not managing a provider, but brokering demand and supply of a business service. This kind of mindset will give you a more valuable role to play for your company and will make you happier at work. You surely don’t want to convince them they never want to work for you directly. Keep in mind that Process discipline is healthy until it becomes dogmatic. Your service provider serves may be hundreds of other clients. So, always be open to their suggestions and to propose improvements that fit your specific needs. This basic nature will prove very beneficial to you. You yourself will be surprised by its outcomes. You can a demanding client not just because you are paying for a service, but because people on your outsourced team appreciate learning just like you. You can progress only when you can be both demanding and kind. Though this is a fact that these behaviors have nothing to do with technical or functional know-how, but still, they can make or break an outsourcing relationship. It is a counterintuitive approach, but it is a human solution to a basically human problem.